High protein breakfast – Many people’s breakfasts tend to be carb heavy and nutrient poor, often consisting of sugary cereals and toast. Studies have shown that consuming a high protein breakfast can help improve appetite control, food intake, and body composition and may decrease snacking later in the day.1 In particular, breakfasts containing eggs may help enhance weight loss, as part of an energy-deficient diet,2 so get scrambling! Look after your gut bacteria – There is increasing evidence indicating that our gut bacteria are involved in the control of body weight. It appears that the gut flora of an obese individual differs from a lean individual,3 and there is potential for live bacteria supplements to improve the gut flora and possibly increase weight loss.4 Lepicol Lighter ( £17.99 from lepicol.com) is a unique new high fibre, supplement, especially designed to help aid weight loss. It contains 7 strains of live bacteria to keep your gut healthy, chromium to help normalise blood sugar levels, and fibre sources glucomman (shown to contribute to weight loss in the context of an energy restricted diet)5 and psyllium husk. Reduce stress – Did you know that cortisol and other stress hormones act to control both food intake and energy expenditure. In particular, stress hormones are known to increase the consumption of foods high in fat and sugar, particularly in women.6 High stress levels can lead to weight gain around the middle in particular (known as VAT – visceral adipose tissue). VAT carries with it a number of increased health risks. Reducing stress is therefore important for both weight management and long-term health. Eating well, limiting caffeine and alcohol and getting good sleep is important. As is taking time out for yourself and asking for help when it’s needed. Stop counting calories and Just Eat Real Food (JERF) – Research has demonstrated that dieting, or the restriction of caloric intake, does not lead to long-term weight loss, but instead increases cortisol levels and perceived stress – two factors that are known to cause weight gain.7 Instead of fixating on calories or restricting yourself so you feel deprived, focus on eat whole, nutritious, unprocessed foods. 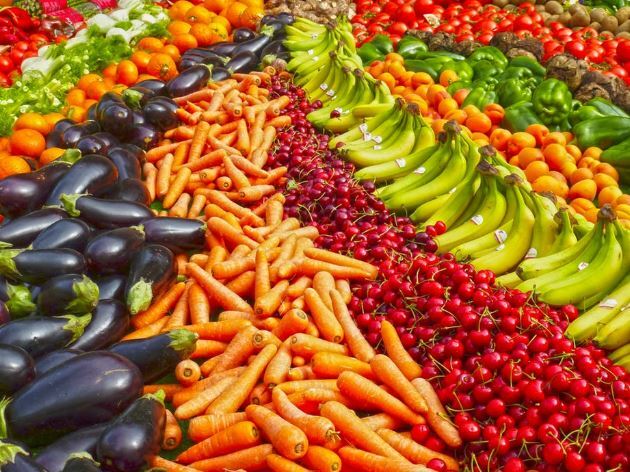 Aim for 2 pieces of fruit and at least 5 veg a day – a rainbow of different colours. Switch to fibre rich wholegrain rice, bread and pasta, and include good quality protein each time you eat (eg. eggs, nuts, seeds, fish, seafood, lentils, beans, chickpeas, organic meat, quinoa and fermented tofu). Healthy food can be delicious, so get creative in the kitchen. 1 Leidy HJ, Hoertel HA, Douglas SM, Higgins KA, Shafer RS. A high-protein breakfast prevents body fat gain, through reductions in daily intake and hunger, in ‘Breakfast skipping’ adolescents. Obesity 2015; 23: 1761–4. 2 Vander Wal JS, Gupta A, Khosla P, Dhurandhar N V. Egg breakfast enhances weight loss. Int J Obes (Lond) 2008; 32: 1545–51. 3 Compare D, Rocco A, Sanduzzi Zamparelli M, Nardone G. The Gut Bacteria-Driven Obesity Development. Dig Dis 2016; 34: 221–9. 4 Mekkes MC, Weenen TC, Brummer RJ, Claassen E. The development of probiotic treatment in obesity: a review. Benef Microbes 2014; 5: 19–28. 5 Nutrition and Health Claims – European Commission. http://ec.europa.eu/food/safety/labelling_nutrition/claims/register/public/?event=search (accessed Sept 15, 2017). 6 Hewagalamulage SD, Lee TK, Clarke IJ, Henry BA. Stress, cortisol, and obesity: a role for cortisol responsiveness in identifying individuals prone to obesity. Domest Anim Endocrinol 2016; 56: S112–20. 7 Tomiyama AJ, Mann T, Vinas D, Hunger JM, Dejager J, Taylor SE. Low calorie dieting increases cortisol. Psychosom Med 2010; 72: 357–64.